Jim Allen became involved with hospital radio over 40 years ago, during which time he interviewed many famous personalities. His special interest is in comedy, and he has met several of his heroes over the years. He is very much involved in the community of Byfleet, where he is the Chairman of Byfleet Heritage Society, and is keen to see the now-redundant fire station restored. He is a Team Leader at the volunteer-run Byfleet Community Library, a long-serving member of the Byfleet Players drama group, a past President of Woking Drama Association and one-time Chairman of the Surrey County Show. He is also actively involved in St Mary's Church, Byfleet. His monthly programme, 'Mirth and Musicals', features the best of songs and tunes from the musicals, interspersed with comedy tracks ranging from old time music hall to present-day comedians. 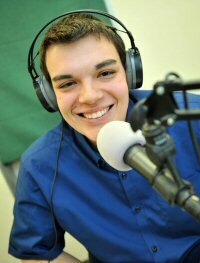 Adrian Bell is a newcomer to broadcasting but has been an avid listener of radio all his life. Born and brought up in the Steel City of Sheffield, he now lives in Stanwell having arrived there via stints in Northants and the East End of London. After working for 30 years in retail he is currently doing voluntary work for Mind Matters, the mental health arm of Surrey and Borders Partnership NHS Trust, in order to fulfil a desire to give something back to an organisation that helped him so much. 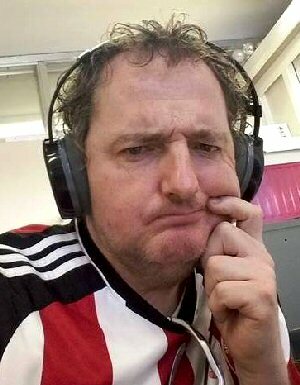 Adrian is a passionate football fan with a love for Sheffield United that knows very few bounds, and has a compulsion for record collecting that veers into the obsessive. He also claims to be The Greatest Hitchhiker In The World having toiled up and down the motorway network of Great Britain regularly since 1984, writing two books on the subject along the way, Fever Hitch (2001) and Aylesbury Bolton Wolverhampton Hove: A Little Man And 101 Cardiacs Gigs (2011). His show, The Progressive Alternative, reflects his love of Progressive Rock of all vintages and the eclectic mix of underground, alternative and avant garde music found in his collection. Jill Bennett lives in West Horsley and she is married with 2 children, Harry and Felicity. 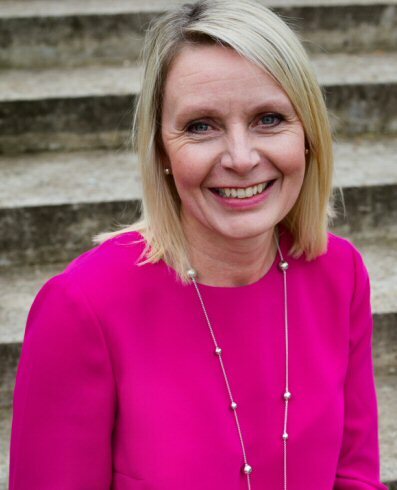 After a career in The Foreign and Commonwealth Office she now runs a business as an Independent Consultant with Arbonne International and is passionate about helping people realise there are many alternative ways to live your life – many of them much healthier! She has recently started a new Facebook page on her journey to a plant based diet – you can like the page here: www.facebook.com/ JillBennettsJourneytoaPlantBasedDiet/M./. She also helps those wishing to escape the rat race (http://jillbennett.co.uk/. or just start their own business by showing them there is a better way. She loves keeping fit by walking her Shih Tzu Henry and Bichon Sidney and getting out on her bike. Jill and her husband enjoy going to the theater and to comedy shows as there is nothing better to raise your vibrational level and make you feel good than a good laugh! Jill joined Brooklands Radio in March 2016 and is really enjoying presenting her own show. Alan Bosson grew up in the generation who listened to the pirates under the bedclothes and when he was old enough even made the pilgrimmage to Radio Luxembourg who actually played his request. He has a wide knowledge of music and really enjoys talking to anyone who will listen so what better to channel this than a radio show. Alan joins us from Hospital Radio Lion where he presented shows for seven years. He currently presents a show on Monday, Wednesday and Thursday. 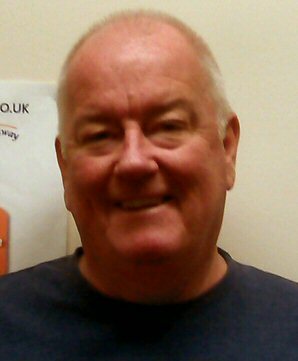 When he is away from Brooklands Radio Alan enjoys playing golf, spending time with his family and walking Stevie his dog. 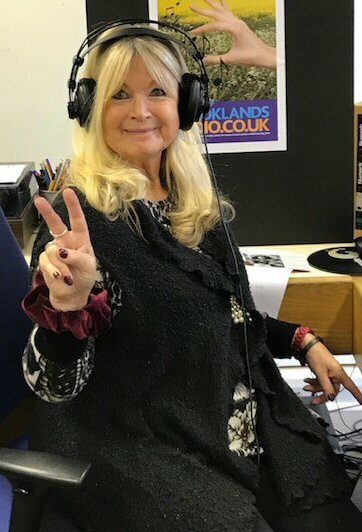 Brooklands Brenda just loves radio and everyone at Brooklands Radio are her best friends. She just has to listen to Brooklands Radio every day and loves all of the shows. Her favourite music is anything that Brooklands Radio plays and she dances along to everything (except the classical music show). Penny Carter began her early career working as a residential social worker for MENCAP. This time was invaluable and taught me how to cope in some challenging and stressful situations. I benefited from interactions with people from a wide variety of backgrounds and was able to assist people through some difficult periods in their lives. After a number of years, I was fortunate enough to be able to spend an extensive period traveling around Asia and again being able to meet people from all walks of life and varying backgrounds. Once I returned to the UK I began a very successful career working in sales and marketing within the 5-star hotel and hospitality industry. It's within this environment that I excelled at being responsible for organising attendance at exhibitions, events and conferences. I planned and executed numerous overseas and UK based sales trips and also delivered annual company incentive schemes. During this time I developed credible, long-lasting business relationships based on trust, expertise and an exceptional delivery of services. 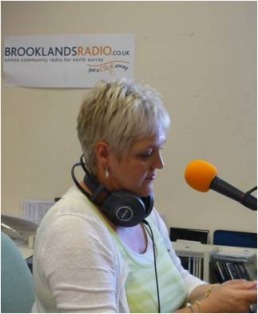 Sarah Chaplin has been a guest on Brooklands Radio a couple of times, but now takes up a new role as our jazz presenter on Brooklands Radio. She grew up in Lancaster and while all her friends were into punk and new wave music, she had a secret passion for jazz. She played trombone during her teens, then took up alto saxophone at the age of 21 while studying architecture at university. 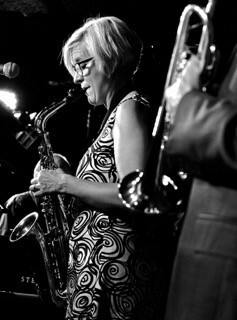 While her three children were growing up, the saxophone took a back seat, but in 2012 she started playing again and embarked upon a new dual existence as an author and a jazz musician, completing the three year jazz programme at Citylit as well as being active on the London jazz jam scene, including hosting the jazz jams at Sligo Jazz Festival in 2015 & 2016. Having since taken up singing, soprano sax and flute, Sarah has played gigs with many different line-ups across London including the London Jazz Flute Big Band, and now leads her own duo and septet. She released her debut album "Firehorse" in March 2016, featuring 11 of her own tunes, and her debut vocal album "We Both Are Lost" came out in November 2017. Sarah also writes and arranges music for small ensembles. 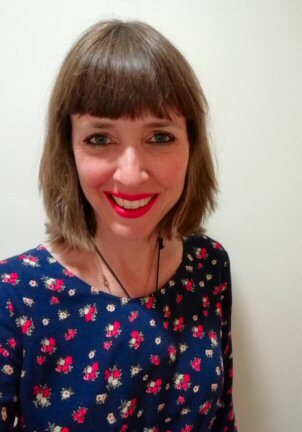 She is co-founder of JAZZLONDONLIVE, the jazz listings site for London and the South East which she crowdfunded in 2016 and now has 100,000 users, and has been a regular reviewer for Jazzwise and LondonJazzNews. She is delighted to be bringing JAZZLONDONLIVE to the airwaves, and says she feels like she's following in her mum's footsteps, who used to present hospital radio every week at Lancaster Royal Infirmary. John Cull began his radio career on one of the legendary pirate stations of the Sixties, Radio 390, housed on a fort in the Thames estuary. 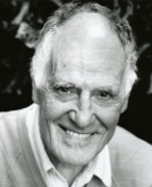 After the pirates were closed down he spent four years on Radio KZ in Melbourne, where the late Alan Freeman began his career. Returning to the UK, he presented on local hospital radio but took a day job with Qantas Airways. He was propelled into celebrity as the airline's Duty Airport Manager at Heathrow in the BBC's fly-on-the-wall docu-soap Airport from 2000 to 2003, still repeated regularly on digital channels. John was brought up in Addlestone and went to St Paul's School. 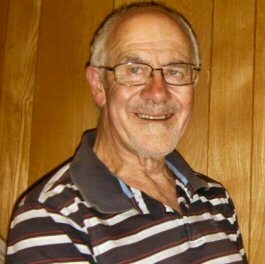 Now living in Sunbury, he has taken early retirement from Qantas and runs the TV and radio website www.waveguide.co.uk/. 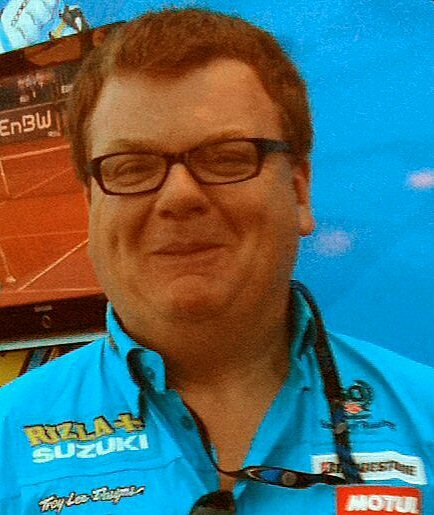 Dan Curtis joined Brooklands Radio in March 2012 having come onto Graham Laycock's programme to promote a show he was taking part in. Having always wanted to be a radio presenter, Dan leapt at the chance to join the team and the rest as they say is geography! Dan lists his personal BR highlights so far as broadcasting from under a holly bush in a torrential rainstorm to cover the Olympic torch's journey through Egham and interviewing Chesney Hawkes! In his life outside radio, Dan is a keen performer in local AmDram societies as well as playing guitar and singing in function bands – he's also available for hosting quizzes and comparing events! Dan is a keen writer and is currently working on some books for children - of which he has four (children that is, not books!) He also can occasionally be found running around a hockey pitch or badminton court. Ray Darrell was born in Wimbledon in the summer of 1941, all of the family enjoyed music, and his Father's mother actually played the piano for the silent movies years ago. Music has been a part of Ray's life since 12 years of age. Before then he can remember going behind the radio to see if he could see the man inside it! Once satisfied that the voice came from elsewhere he started concentrating on the music, in particular the numerous request programs put out by the BBC. Ray was fascinated and intrigued by the fact that when he played records on his own turntable he could hear all of the snap, crackle and pop, yet when they were played on radio, that seemed to be invisible. Over the years Ray learned that radio stations did have filtering systems in place to cope with this. Nowadays Ray says there is so much at our fingertips to be able to clean up old and worn recordings, the results being quite fantastic. Ray believes the main thing centres around the playing of happy and cheerful music. 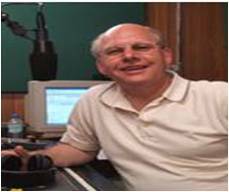 Join Ray on Brooklands Radio every Friday between 8 and 11pm for a nostalgic and historical journey back in time with his 50s and 60s show. Mandy Dineley started her early career as a vocalist in the North of England in her first band, following that she performed as a vocalist/entertainer doing cabaret with various touring groups, worked with many celebrities and other talented performers from the 80's. Mandy, along with her husband Pete, have performed at many of the top function venues in South and South East UK and had a blast! She has also worked in many of the top recording studios in the UK, as a front person, both lead and backing vocals. She was signed as a singer songwriter in the 90's and spent many of those early years in London on various collaborations. After working in the music industry from the age of 14 years, a life off the road was calling her, so she took a job in the computer Industry, selling products from multimedia, computer peripherals, to her last job in IT where she was an account manager for a document management distribution company in Farnham. Marriage & children came along, she was a full-time mum for over 16 years, eventually, she wanted to do something different, something for herself and found the opportunity with Stella & Dot, which she loves. The opportunity has given her a new-found confidence and by doing this, it introduced her to networking and so many other opportunities. Keeping busy is key to her happiness, so she is a presenter on Brooklands Radio, which she loves as she gets to speak to some really inspirational women. More recently, Mandy has started her own Bespoke Writing Business called "My Beautiful Pen" which gives her a creative fix and outlet. Sara Emanuel has always had a passion for music and from an early age used to sit in front of Top of The Pops every Saturday night. Pressing play and record on her cassette player, she insisted her family was to make no sound so it didn't get picked up on her recording! After teenage years spent reading Smash Hits magazine, making mix tapes and going to many many gigs his led to a career in broadcasting including working as a music copyright manager for SKY. More recently her creative pursuits have led to her becoming a photographer and running arts and crafts workshops for children. 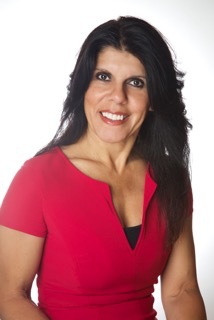 In her spare time Sara is an avid cook, baker and loves to discover new restaurants. Having grown up in Walton and recently moved back to the area she discovered the sounds of Brooklands Radio and wanted to get involved and put her love of music to good use. She now has been well and truly bitten by the radio bug! Her photographic work can be see at www.missemanuelphotography.com or follow her on twitter @missemanuel for daily rambles and photos. Hugh Evans describes his presenting style as 'small town America meets Radio 4', partly because it was in the USA that he began his radio career! After being introduced to the college radio scene in the Midwestern state of Ohio, Hugh became hooked on radio broadcasting, becoming an FCC-licensed broadcaster in the USA before joining Brooklands Radio. Hi I'm Brea Gosling I'm looking forward to Sharing my Passion for Music!!!! Brea grew up in Buckinghamshire and had a very eclectic and creative background. Her Grandfather and Father were both musicians and her Father had his own jazz band and was a multi-instrumentalist. Brea trained as a hairdresser/theatrical makeup artist in West End and also did modelling in adverts and support acting in TV and film. Brea along with her late boyfriend & his partner ran the Ricky Tick clubs in Windsor, Guildford and all over the South of England which nurtured many famous bands. Brea is married to keyboards player Peter who he was in The Preachers, then Moons Train and The Renaissance Group. They have a son and daughter who are very successful in the music and arts world. Brea ran her own Company Cottage Industry Shows in Arts and Design at Ascot Racecourse & Many Stately Houses as well as raising funds for charities. She is very Keen to nurture the great past and present singer songwriters and promoting fresh young talent so join Brea for Brea's Booth every Sunday evening 8-10 pm and repeated on Wednesdays 10-12pm for the best music past and present. Michael Grinter's childhood memories of radio centre around Sunday lunchtimes at home in Aberdare in South Wales when he recorded the BBC's Two-Way Family Favourites on a reel-to-reel tape recorder. He insisted his parents talked in whispers and he leapt up to press 'pause' during chat between records. When played back, the music was accompanied by low whispers and clinking cutlery. When Michael came to Surrey in 1966 to teach at Sheen Grammar School, in Richmond, he became a fan of Radio Caroline and, as he grew older, Terry Wogan. 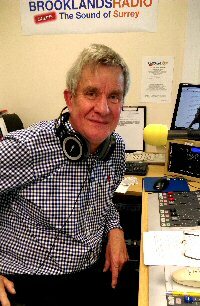 Now retired from a long career in education in the public and private sectors, he has trained as an actor, formed his own singing act, The Song Pedlars, and completed the circle back to his early interest in broadcasting by joining Brooklands Radio. Mike Gurr, Brooklands Radio's Sales & Marketing Director, came into radio by chance when his wife Gill was in hospital to have the first of their two sons 25 years ago and a hospital radio volunteer offered to play a request for him. Mike joined the station and became a star presenter. After leaving school, Mike joined the Air Training Corps and rose to Corporal Lead Drummer. But the world of music lost its budding star because he entered the motor industry as an apprentice. He has worked with top marques including Rolls Royce, Bentley, Mercedes Benz and Jaguar and today is a Fellow of the Institute of the Motor Industry. 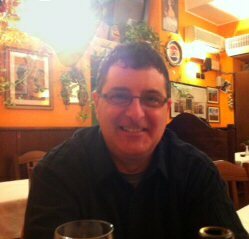 Mike, who was was born and brought up in Worthing, West Sussex, has lived in Knaphill, Woking, for 26 years. His interests include radio-controlled model aircraft and motor-cycling. Bev Harris has loved radio since listening to Luxembourg as a teenager, and then the North Sea pirate stations. He finally got on the air himself after hearing about Brooklands Radio from presenter David Durant. Born in Surbiton, he went to school in Wimbledon. From City University he went into education, as a teacher and later as a County Adviser in Surrey schools. A keen guitarist, Bev is part of a three-piece acoustic group called Some Time Later. He ran a folk music magazine in the 70s but likes 'most kinds of music from Abba to ZZ Top', so the broad-based Brooklands Radio playlist suits him fine. He is married with two grown-up children and lives in Runnymede. Suzanne Hunter's determination to become an actress was fired as a schoolgirl when she appeared in a play at the Leatherhead Theatre. 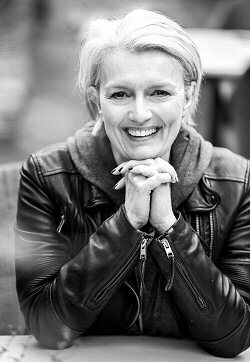 She went on to train at the prestigious Guildford School of Acting and has worked on the West End stage, in theatres across the UK, films, TV and professional radio. 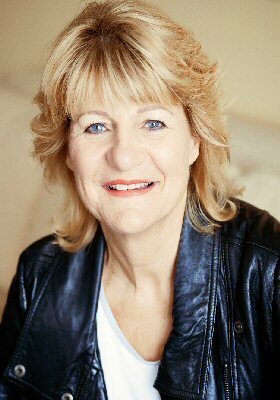 She is a member of BAFTA in recognition of her passion for the film and broadcasting industry and is now writing a play. Suzanne is a qualified sword fighter and loves tennis, rollerblading and dance. 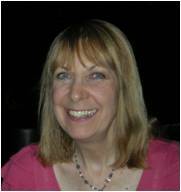 Suzanne was born in Hertfordshire but subsequently moved to Surrey and now lives in Weybridge. Since 2010 Suzanne has created, presented and produced day time shows as well as her specialist shows for Brooklands Radio called Suzanne Hunters World of Arts and Entertainment and Hunters Hollywood Hits and Brit Flicks film music show both of which can be heard Thursdays 9pm repeated Saturdays 7pm and Sunday 2am. Suzanne finds it a joy to personally invite onto her shows globally known stars of the stage, screen and music world. 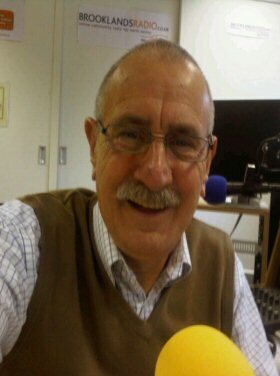 To hear any of these interviews 24/7 just click on the link www.brooklandsradio.co.uk/worldofarts and click on a picture of a guest. 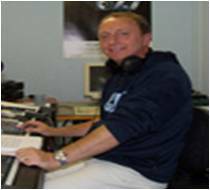 Trevor James joined Brooklands Radio in 2012 after many years away from the music business. He grew up in Hounslow West London and first got involved in DJ'ing at school by building a twin turntable deck and borrowing an Amplifier and speakers to put on the end of term disco. Trevor ran a Mobile Roadshow for some time before applying to Pantiles Night Club in Bagshot Surrey as a DJ. He went for an audition and got the job working as the resident DJ there four nights a week along with Guest DJ spots at other clubs. During the day he started as a Telecoms engineer with BT before becoming an electrical/electronic engineer with the BAA at Heathrow. After ten years at Pantiles he left there and the BAA to concentrate on his new business Peak Performance Cars which he successfully ran for over 20 years. 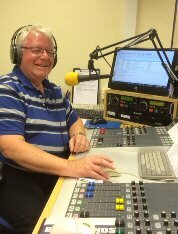 Now with more time on his hands he's returned to presenting at Brooklands Radio, utilising his knowledge of all music genres and his considerable collection of songs across the decades to date. Dave Jemitus spent twenty odd years in corporate IT before deciding to work for himself as an IT consultant and to spend time on a variety of projects and causes, including the League of Friends of Walton Hospital. 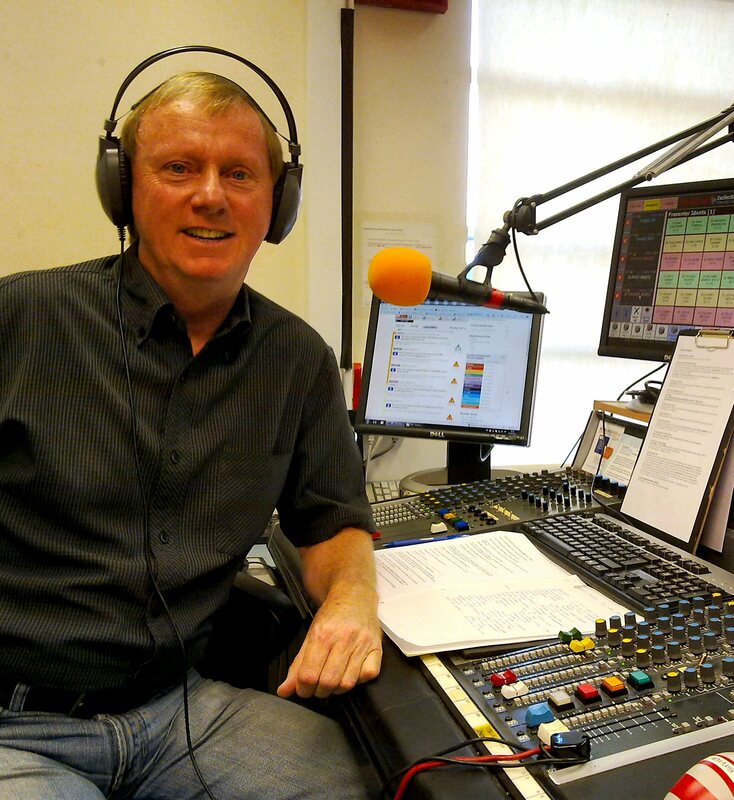 Dave joined Brooklands Radio to rebuild the website (done sucessfully) and then became hooked on broadcasting and the Brooklands Radio spirit of doing the best you can for everyone who listens. Dave also works with The Fightback Ninja who appears on Brooklands Radio. Dave lives in Walton-on-Thames with his wife Danielle and son Neil. Jonny Jukebox joined the station in 2005 and he is a happening dude and wannabe Hipster. Whenever there isn't a presenter in the studio then Jonny rushes in to play his music. Jonny loves all kinds of music of every decade from the 60s to the latest releases and he just wants to make people happy by playing great tunes through the night. 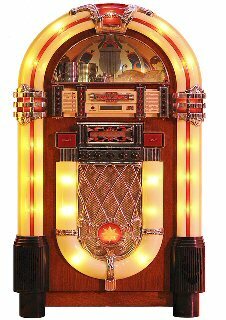 The Jonny Jukebox show starts at midnight every day and runs till 8am weekends or 10am weekdays. Graham Laycock was always interested in broadcasting and listened avidly to the pirate radio stations of the 60s. He made his radio debut in his early teens, recording programmes at home and inflicting them on his family on Sunday mornings. He progressed to his local hospital radio service, becoming Programme Controller and then Chairman. 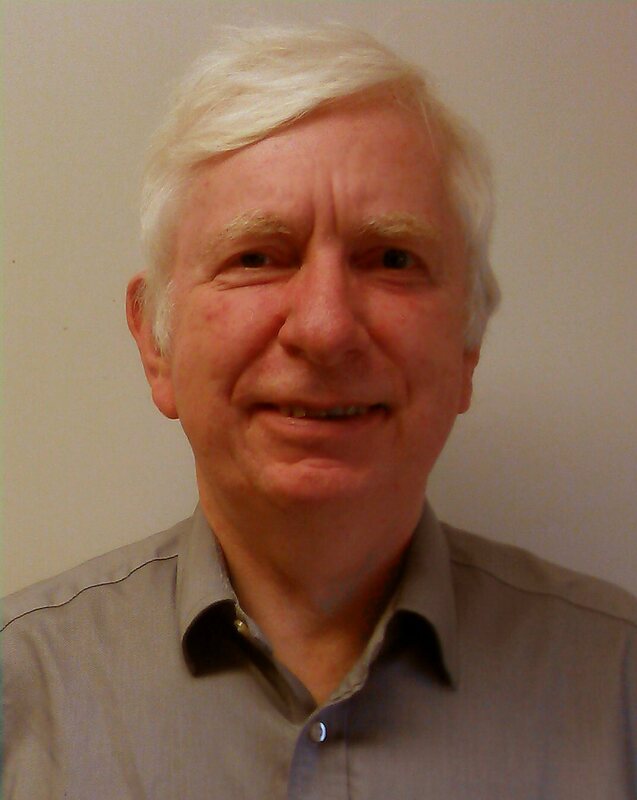 When he heard from former hospital radio colleagues of their plans for Brooklands Radio he jumped at the chance to be involved and renew old friendships - so much so that he moved from Leighton Buzzard, Bedfordshire, back to Surrey to be part of the team and became Station Manager. 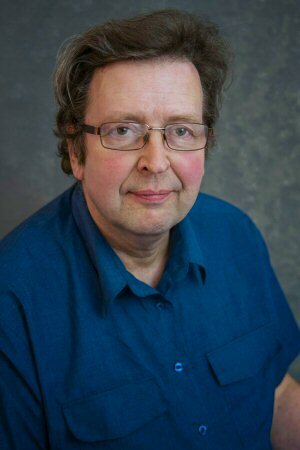 Graham grew up in Walton-on-Thames and on leaving Ambleside School joined British Rail as a junior clerk. 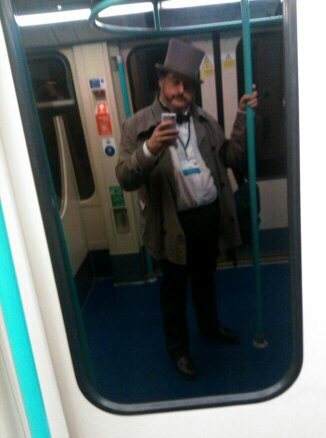 He rose to senior management roles in the railway industry but in 2003 a bout of ill-health led to early retirement. He lives in Pyrford and has two grown-up sons and his interests include broadcasting, politics, railways, buses and helping others with the vasculitis condition he suffered. Stephen Liddle Stephen has always loved entertaining and radio. He spent hours playing DJ as a child and performing in plays throughout the years. Oliver Lodge is a radio presenting virgin with no experience in broadcasting whatsoever, however, he is very passionate about music having begun his concert attending and record buying at the tender age of 9 courtesy of an older brother. He has been collecting vinyl since then and now has an extensive collection with a keen knowledge of rock through the seventies to the present day. 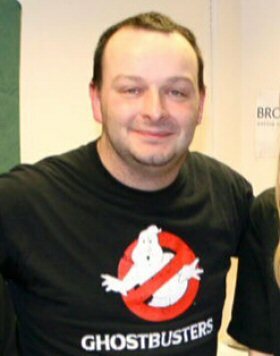 After an extensive career as a Futures Broker in the financial industry, Oliver now spends his time helping develop his wife's local hair and beauty business Hair Mekanix Limited (www.hairmekanix.co.uk) and has come to Brooklands Radio to find a new outlet for his musical passion. Perhaps one day developing a rock show for Brooklands Radio? 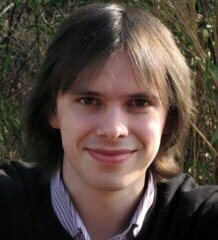 Oliver grew up in Hersham and attended Woking Grammar School for Boys and has lived in the area since he was 7 years old. As well as music and finance Oliver's interests include motorcycling and he would consider himself a so called petrol head. Jackie Mitchell entered broadcasting via a hospital station in Tooting. Later she worked as a reporter and newsreader on two Hong Kong radio stations, but was turned down for a radio job in Australia because her English accent was considered a problem. With a background in journalism, Jackie began her career on the Surrey Advertiser. After stints on newspapers and magazines here and overseas she moved into business publications and now runs her own PR and writing consultancy (more information at www.jackiem.com. Jackie, who co-presents Brooklands Radio's Just Women talk show and the monthly Surrey Business Affairs. She grew up in Wimbledon and West Byfleet, went to Woking Grammar School for Girls and now lives in Claygate. Among her claims to fame, at age 10 she was the voice of Floppy Tail Bunny on a children's CD. 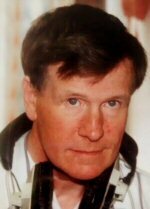 Alex Nairn's first experience of broadcasting was over 20 years ago on a hospital radio station in Scotland. A change of career direction meant he had to leave it too soon but always knew he would return someday. Alex has lived in Horsell for 26 years and whilst being a proud Scot he cannot ever see himself leaving Surrey. "It is a lovely county and of course the weather is much better". For as long as he can remember every type of music has been a consistent part of his life. Ten years ago he went to Nashville Tennessee and the history and the honesty of Country music impacted on him immensely. Since then he has visited several times and has been known to go all over the world to see his favourite country stars. As well as presenting some of Brookland's daytime programming Alex will present a show entirely dedicated to Country music on Monday evenings. The Fightback Ninja joined Brooklands Radio in 2016 to fight scammers, spammers and time-wasters. 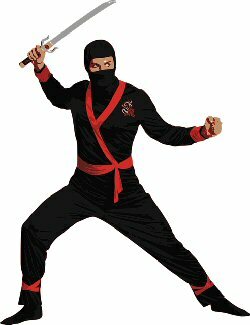 The Fightback Ninja was born in Japan and studied at the Ninja University of the Martial Arts in New Jersey. He fights to warn people of scams and how to avoid being scammed. The Ninja has his own page on Brooklands Radio at Fightback Ninja and broadcasts twice a week on the Dave Jemitus show. 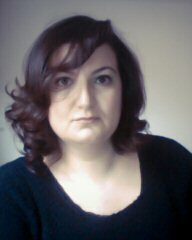 Ivana O'Brien lives in Surrey, she is married with 3 children. After a career in banking and finance in the city she now currently works as a freelance career coach and trainer in schools and also runs employability and motivational workshops with adults seeking a career change or who are unemployed. She loves keeping fit by running and going to hot-yoga classes four times a week , which is a must, since the rest of the time she is constantly eating, particularly chocolate!! She is really interested in comedy and completed a stand up comedy course in 2013 and gigged a few times at venues in London. She joined Brooklands radio in August 2014 and is really enjoying being one of the co-presenters on Just Women. James Pearce (or 'JP' as he is more commonly known) has been in radio for 7 years now and joined Brooklands at the end of 2013 when he moved to Weybridge after university. Starting in his early teens, JP has worked on national internet radio stations and even helped build up student media at his college in Hampshire and at Kingston University. Now though, he is excited about being part of the team at Brooklands and providing radio for his native North Surrey. While radio and all things media remain a hobby and a second job, James is now a primary school teacher during the week, teaching over in Thames Ditton. To find out more about James, you can visit his website (www.jpprofile.webs.com) or follow him on Twitter (@ItsOnlyJP). 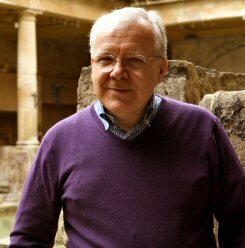 Barry Richards has broadcasting in his blood - his father was Sound Director at ATV and he had uncles working at ITN and Thames TV. In his teens he joined a Surrey hospital radio service and moved on to host a chat show on London News Talk with Adrian Just. He has also done voice-over work on radio and cinema commercials. In his day job Barry is HR Director for Europe, Middle East and Africa with international advertising agency McCann-Erickson, whose clients include such household names as Mastercard, Microsoft and Nestle - making him ideally qualified as both Advertising & Promotions Director and HR Director with Brooklands Radio. Barry grew up in Weybridge, went to Fulbrook School in New Haw, and now lives in Woodham with his wife and two children. 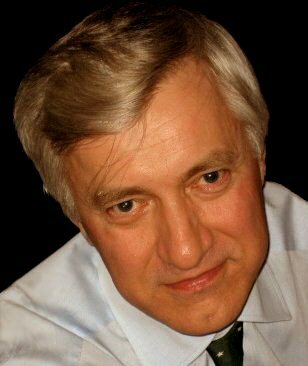 Jim Richman is a former disc jockey on Radio Caroline, with a wealth of experience. After leaving Caroline in 1966, He aquired a residency at the Marquee club in Wardor Street,London, gaining a three year contract. After leaving the Marquee he went on the road and went self-employed as a DJ. In 1977 he went into radio again with the Guildford Hospital Radio Station, Radio Lion which closed down in April 2014. Jim was with them right up to their close down date. He also worked for Radio Jackie 1984-85 Hayes FM then once again was asked back to Radio Caroline 2005-2009, Jim is now freelance and with Brooklands Radio. Jim says "I like working in radio because it's what I do best, and hopefully the listener does too. In my shows I try to achieve originality, to do my best and help others on the station who have not been lucky enough to have the opportunities that I have had. Brooklands Radio, offers something different it has a local theme which is so important to the people of Surrey." 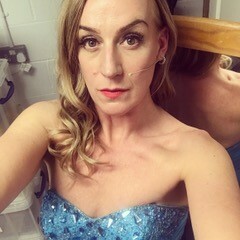 Lisa Rollin has worked on numerous tours and performed on TV countless times as a violinist, with artists including: Simply Red (UK/ European Tour), Il Divo, Westlife, Kanye West, Soul Central, Boyzone, StoneSour, etc. She has appeared on T.V programmes including: The Royal Variety Show, GMTV, Top of the Pops, CD:UK and Parkinson. Lisa has performed at venues throughout the world. Events include: Formula 1 Bahrain, (Main Stage), Auto Expo -New Delhi, IBM Gala Dinner (Barcelona), Nissan 4x4 Launch (Cairo), BP Pipeline Completion (Istanbul), BP 10th Anniversary (Georgia), Nikken (Germany), London 2012 Olympics, Aston Martin DB9 Launch (Cardiff), The British Hairdressing Awards (The Royal Lancaster), private party (New York), private party for family of Sir Rodger Moore (London), London Press Ball (twice), Golden Palace –Istanbul and more. Lisa will be presenting her own show on Brooklands Radio entitled "Classical Crossover". It will be an eclectic mix of Classical and Classical Crossover. Music with beat! Beauty and energy! New artistes you'll be excited to discover! 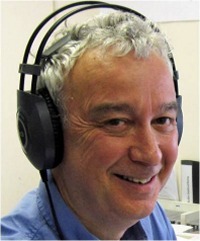 Nigel Scott was introduced to Brooklands Radio in 2014 by Michael Grinter. He had been told at work that he had a voice (or was it a face) for radio, and had harboured the ambition of trying that out. Following an enjoyable stint as a regular on Michaels show: doing the weather, travel and local news, and chatting with Michael about music, life and the universe (well, the first two anyway), he took on an afternoon music show. 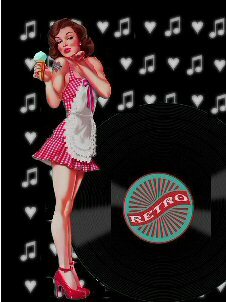 In his teens Nigel had built a large collection of vinyl Singles and LPs and is now enjoying revising memories when selecting tracks to play on his show from before he was born to the present day. Nigel and his "better half" Sue have lived in the area since they were 7 years old. Their children flew the nest several years ago but live close by, enabling regular visits - and baby-sitting of the grandchildren. After a long career in BT, Nigel now has more time to indulge in a few sports (5 a side football and Bowls). He and Sue also do Ballroom Dancing (with medals to prove it), and Geocaching - not forgetting the Elmbridge choir, which is where they met Michael. Janet Shell recalls radio as being a large part of her childhood. As a professional singer, radio has played a large part in her career. She was the first person to sing live on Classic FM and has broadcast several times on BBC Radio too. She has been interviewed on national radio stations around the world and sees radio as an intimate connection between the listener and broadcaster. For her, The Classical Collection on Brooklands Radio is a chance to get behind the wheel and drive a programme, introducing music and anecdotes and inviting her audience to share a musical experience. 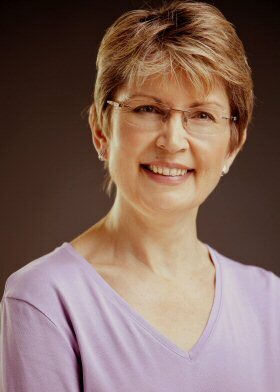 Janet still sings professionally and she teaches alongside running her company Talking Voice which promotes vocal health and communication skills. Jenny Sohl joined the Classical Collection team in February 2012 and presents her show on alternate Sundays. She had no previous radio experience, but had always been interested in the backroom aspects of broadcasting. She is a huge Beethoven fan and also loves Brahms, Rachmaninov and Sibelius, as well as having a great interest in Early Music. Jenny has played the violin since she was 4 years old and currently plays for several orchestras (including a Baroque group) plus enjoys chamber music. Jenny lives in Woking with her husband and they recently celebrated their "retirement", after 30 years of running a large sports facility and international tennis academy in Sutton, by buying a showroom and garage in Ripley, which they now run with their son (an ex-professional tennis player), dealing in the sale, service and restoration of classic cars. (www.renaissance-classics.co.uk). They also have twin daughters, one of whom is a professional Rock singer. Jenny's hobbies include historical costume, films and writing poetry. Alan Timbrell, Chairman of Brooklands Radio, had the idea for the station in 2004 and has worked towards making it a full-time community radio service since then. His love of radio was fired by the off-shore pirates of the Sixties. At age 16 he and a friend founded a hospital radio service at Weybridge that survives today. Alan believes that radio today could be much more enjoyable, entertaining, and distinctive. He feels that presenters should have more say in content and encouraged to try out their own ideas so that their programmes reflect their personalities. Anne Twist is part of the Just Women team and joined the show in 2014. Anne grew up in High Wycombe and now lives in Farnham with her husband and 2 teenagers. Having studied French, Spanish & German at university she had the aim of travelling the world. Previously a fashion buyer for the Arcadia Group she got to travel the world but rarely had a chance to use her languages. Anne now does product development for retail groups and brands importing from China and Hong Kong, and can usually be found at her desk using her favourite design software. Anne loves meeting new people, and is quite inquisitive by nature, so working on Just Women suits her down to the ground, plus she loves the multi-tasking challenge of running the sound desk while chatting with the guests. When not on the radio or working Anne enjoys brushing up on her Spanish, playing tennis and doing Zumba, but not all at the same time! Michael Weldon ran his own mobile discotheque in and around London during the 60's and 70's. This was an explosive time for music and I loved the opportunity of buying the latest vinyl records both 45's and LP's and playing them to an audience. Moving forward several decades I learned that Brooklands Radio were looking for radio announcers and I jumped at this opportunity. I love all sorts of music and am able to play tracks that I personally select and love. I have my own show every Thursday from 4 until 7pm. Really Looking forward to you joining me on my programme for the best tracks around!! Amanda Weller has loved listening to the radio since she was a child but never imagined that she would become a presenter! She joined the Just Women team in 2018. 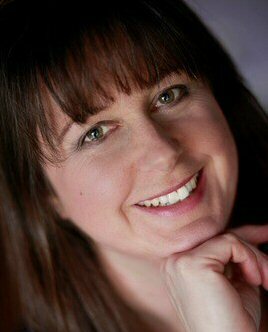 Amanda has been working as a holistic practitioner since 2005. 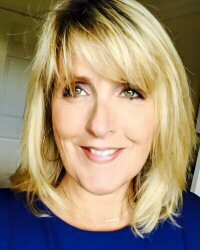 Trained in various modalities, she now combines them and works intuitively using energy healing with clients, both in person and remotely. She also runs happiness-focused workshops. She is passionate about people living to their fullest potential, which is why joining Just Women was so exciting for her, as it is such a great platform for inspiring women to share their enthusiasms and inspiration more widely. Trevor Wilson, grow up in Essex in the home town of the 'Only way is Essex' (Brentwood). So he is the station Essex boy!. Radio wise Trevor has been in the environment for many years work with Hopsital radio services in Romford and Chelmsford. When work transfered him to Hamsphire, got involved in local radio working on Skyline 102.5 and some relief work for BBC radio Solent. At Brooklands radio he is currently to be heard every other weekend on Sunday afternoons at 3pm. Trevor lives with wife and son in Addlestone, but doesnt have any pets!